The NVIDIA GeForce GT 625M is an entry-level, DirectX 11 compatible graphics card that was announced in the third quarter of 2012 for laptops. 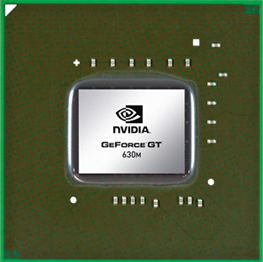 Compared to the older GeForce GT 620M, it is a higher clocked version of the chip. The 620M can be based on either the 40nm GF108 chip (similar to the GeForce GT 525M) or the new power-optimized 28nm GF117 chip with 64-bit or 128-bit DDR3 memory. Both architectures still stem directly from the Fermi generation. Therefore, both versions are also possible for the GT 625M. It should be noted that the 28nm version of the GT 620M does not offer dedicated graphics ports and can therefore only be used in conjunction with Optimus. The GF117 is based on the optimized GF108 Fermi chip (GeForce GT 540M) and offers 96 shaders, 16 TMUs and 4 ROPs. Each shader core is clocked twice as fast as the rest of the graphics chip, a technique known as hot clocking. More detailed information on Fermi can be found on the GT 435M GPU page. The performance of the GT 625M depends on the Turbo clock in the used laptop but should be on average a bit above the average GT 620M. Therefore, the card is suited for casual gamers as demanding games of 2012 may only run in low detail settings fluently. The shader cores (also called CUDA cores) can be used for general calculations with APIs such as CUDA, DirectCompute 2.1 and OpenCL. PhysX is theoretically possible, but the GT 625M is too slow to handle both PhysX and 3D rendering for modern games. 3D Vision is not supported according to Nvidia. The NVIDIA GeForce GT 630M is a relatively fast middle-class graphics card for laptops. Currently, it can be based on three different chips with different specifications and performance values. The GF108 version (a renamed GT 540M) features 96 shaders while the GF106/GF116 version (a renamed GT 550M) features 144 shaders. Furthermore, the newer 28nm Fermi-based GF117 variant will be available as well with significantly reduced power consumption. All models feature a 128 Bit memory interface for DDR3 graphics memory. As part of the Fermi architecture, the cards support DirectX 11 and OpenGL 4.0. More details on the GF108 and GF106/116 architecture can be found on the dedicated pages of the GeForce GT 435M and GeForce GT 555M. Details on the GF117 can be found on the GeForce GT 620M page. The performance of the 96 shader version should be exactly like the GeForce GT 540M and the 144 shader version like the GeForce GT 555M (see both gaming benchmark pages). 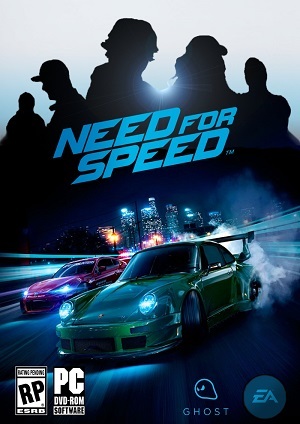 Demanding games of 2010 should therefore run fluently in medium to high details. However, certain 2011 games like Anno 2070 or Skyrim may need reduced detail settings for fluent framerates. The GF117 version can be clocked up to 800 MHz and therefore performs similar to the average GT 555M. However, exact clock rates differ between laptop models and manufacturers; the overall performance is somewhere between a GT 540M and GT 555M. A novelty of the GF104, GF106 and GF108 chips is the support for Bitstream HD Audio (Blu-Ray) via HDMI. Similar to the Radeon HD 5730, the GT 630M can transfer Dolby True HD and DTS-HD bitstream without quality loss to a HiFi receiver. The GT 630M offers PureVideo HD technology for video decoding using the GPU. The integrated Video Processor 4 (VP4) supports feature set C and is able to fully decode MPEG-1, MPEG-2, MPEG-4 Part 2 (MPEG-4 ASP - e.g., DivX or Xvid), VC-1/WMV9, and H.264 (VLD, IDCT, Motion Compensation, and Deblocking). Furthermore, the GPU is able to decode two 1080p streams simultaneously (e.g., for Blu-Ray Picture-in-Picture). 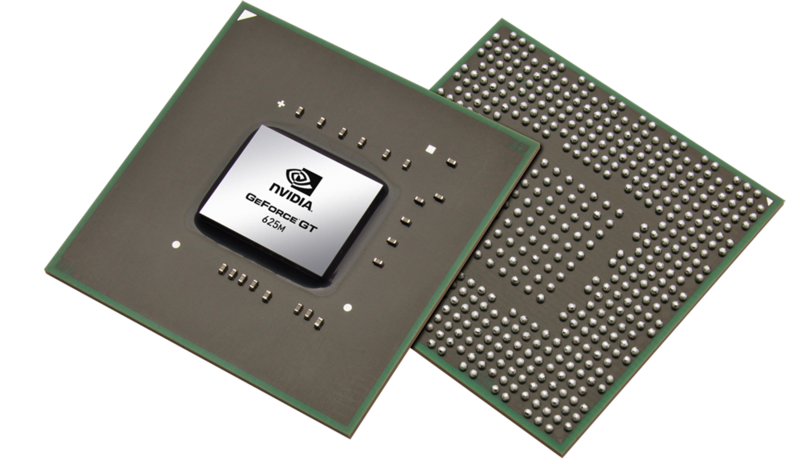 Through CUDA, OpenCL, and DirectCompute 2.1 support, the GeForce GT 630M can assist in general calculations. For example, the stream processor can encode videos considerably faster than can a modern CPU. Furthermore, physics calculations can be done by the GPU using PhysX (supported in Mafia 2 and Metro 2033). However, the GPU is not powerful enough to support both PhysX and high detail game settings at reasonable frame rates. Following the current 3D trend, the 630M supports 3D Vision. This enables the laptop to send 3D content (3D games, 3D Web Streaming, 3D photos, 3D Blu-Rays) to a built-in 3D enabled screen or an external 3D TV if supported by the laptop manufacturer. This feature is disabled if the notebook includes Optimus. The power consumption of the GeForce GT 630M should be similar to the GeForce GT 435M or Radeon HD 5730 and is therefore suited for 15" or larger laptops. If idle or not under load, the chip is clocked at approximately 50/101/137 MHz (chip/shader/memory, respectively) in 2D mode and at 202/405/324 MHz in 3D mode to save power. Furthermore, the 600M series supports Optimus to automatically switch between the integrated Intel graphics card and the Nvidia GPU. The implementation of Optimus, however, is dependent on the laptop manufacturer.